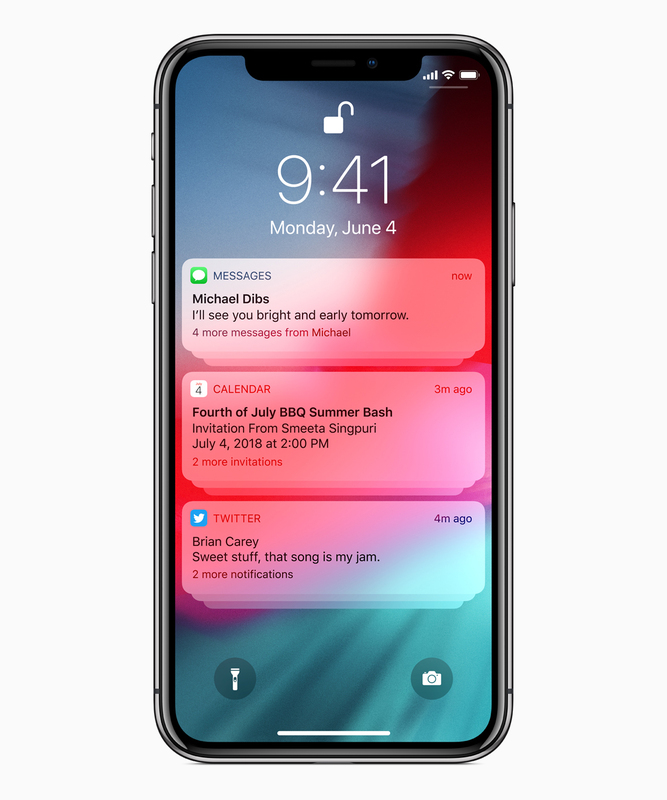 Today, Apple unveiled several key changes that will impact how users receive and manage notifications with the rollout of iOS 12. Users can now manage how and when they receive notifications with the new "Manage notifications" feature. 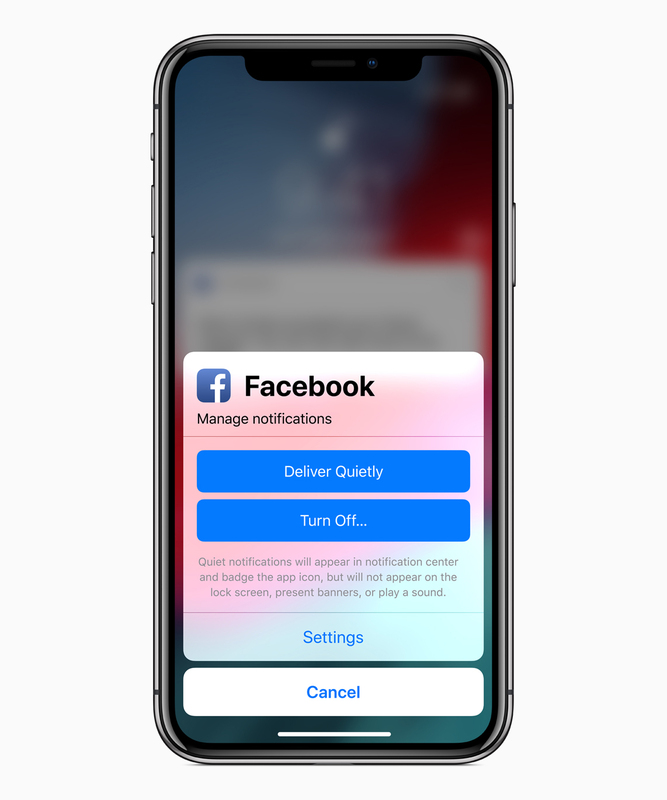 This feature gives users the ability to more easily control how they receive notifications by allowing them to turn off notifications completely or choose "Deliver Quietly" directly within the notification center. When you select the "Deliver Quitely" option, notifications will no longer show up on the lock screen, nor make a sound or vibration. Instead, they will silently appear in the notification center and add a badge to the app icon. Notifications will now be grouped together, reducing visual clutter. 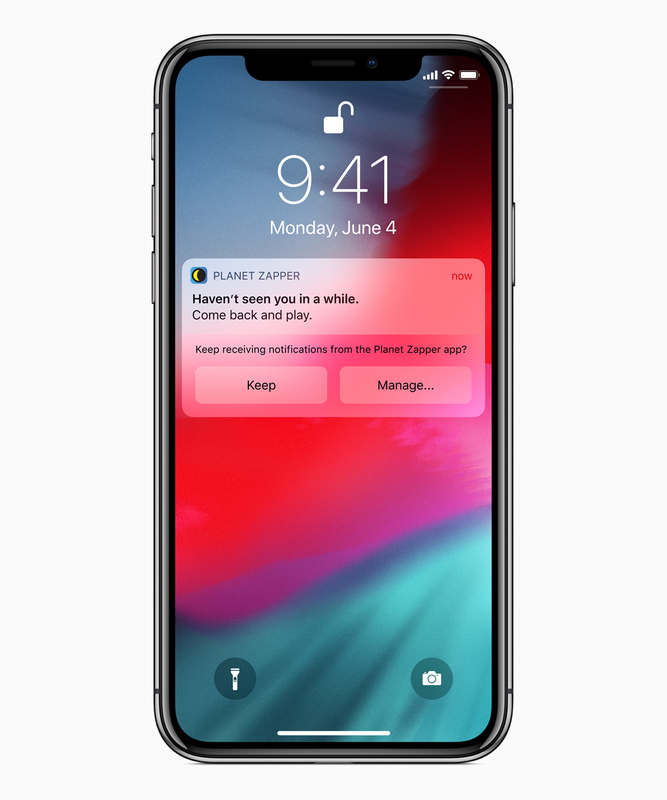 This will increase the likelihood that users will see notifications from the various applications they have installed since they will no longer be pushed down by apps that send frequent notifications, like iMessage. 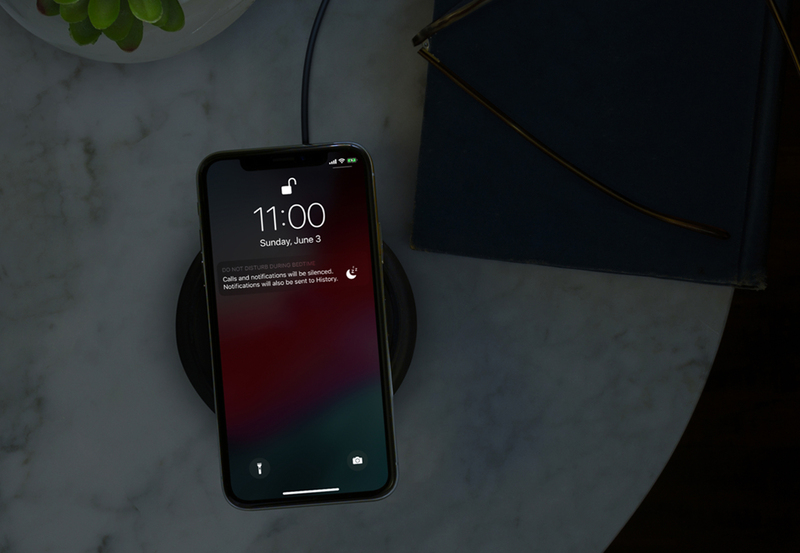 Siri will now detect when users do not interact with notifications from a particular app, and will ask the user if they wish to disable notifications from that app. This feature stresses the importance for app developers to focus on sending notifications that are engaging and relevant to the user. OneSignal's Segments feature is a good way to ensure that your notifications are being sent to relevant users. iOS 12's new Bedtime mode will dim the display and hide all notifications until morning. This increases the importance of sending notifications at the right time of day, otherwise, users may not see them. OneSignal's Intelligent Delivery scheduling option can be used to make sure your notifications arrive when users are most likely to see and engage with them. We're excited to see Apple making notifications an increasingly valuable and engaging way for applications to interact with their users. These changes will significantly help reduce notification clutter and improve the overall quality of notifications that users receive. More now than ever, it is very important to make sure the notifications you send are relevant, timely, and engaging. At OneSignal, we're continuing to work on improving the tools and capabilities of our platform to help developers stay ahead of the curve and are empowered to send the most effective notifications.